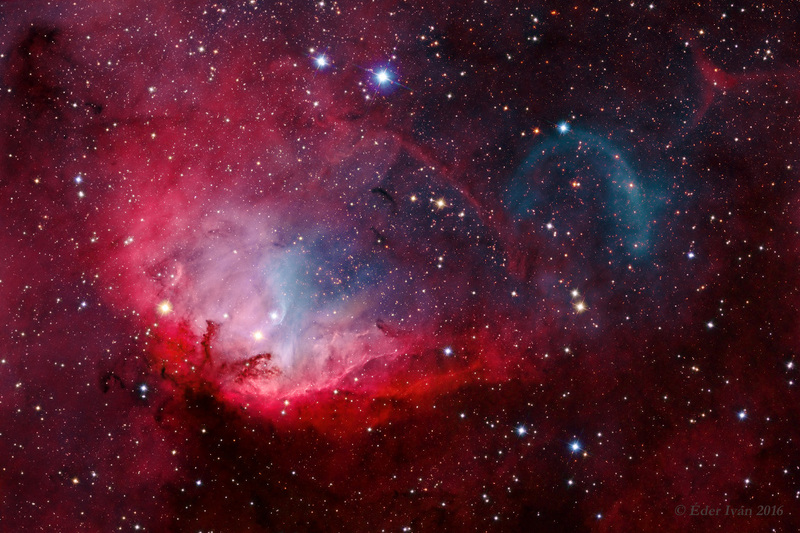 In the constellation of the Swan (Cygnus for friends) is where the Tulip nebula or SH2-101 lives. A nebula cataloged in 1959 about 6500 light years from Earth and about 80 light years wide. Its colors are due to the excitation and ionization of the gas that composes it due to the stars that surround it and that are inside, such as the HDE 227018 located in the center of the nebula. You can see, at the top right, a halo of blue color separated from the nebula which is considered as the petals of what gives it its name (Tulip) which are nothing but ionized gases ejected from a quasar (a black hole) of the constellation. What curious!.